I love the sound of this so glad I made a card. 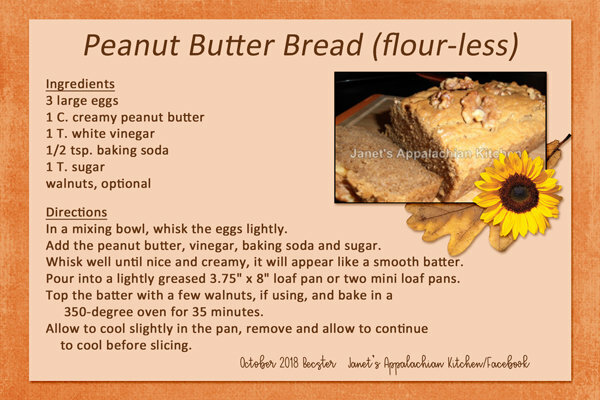 I really like peanut butter and so interesting that this is made without flour, I guess that makes it gluten-free! Your card is so pretty and I always appreciate seeing a photo of the item. This sounds an interesting recipe. I have made Peanut Butter cookies with no flour but not bread. I want to try this. I can't eat white sugar but 1 Tbs. of it shouldn't cause problems and we love peanut butter. Thanks for a great sounding recipe.